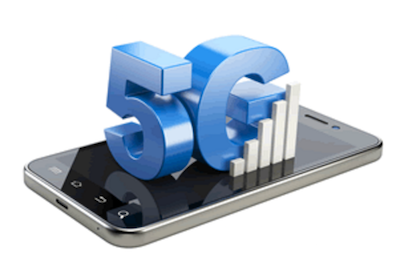 Fifth-generation mobile technology (5G) represents the next step into an age of permanently connected, real-time computing. This new age of connectivity is poised to have a profound impact on both consumer and business IT, and could trigger a wave of innovation not seen since the evolution of the Internet. But how will 5G differ from the 4G networks we know today? Its backers say 5G will largely be driven by its 'use cases.' In other words, there will be scenarios, applications and services that only 5G can support due to its combination of low-latency, high-bandwidth and integrated applications. The investment in 5G network infrastructure, therefore, will likely come once there is a critical need for it. An increasingly digitized society expects to be connected at all times to online services and information. Media and entertainment have been huge drivers in that movement. People both consume and generate data. That constant flow requires connectivity to be reliable, ubiquitous and fast. Sporting and other major events are notoriously problematic for network providers because of the high concentrations of people sending and receiving messages and checking for information. The venue could automatically validate tickets via the spectators' devices and direct them to their seats. Social networks could direct spectators to where their friends are sitting, and users could access services such as change viewing angles, video sharing and betting. Healthcare systems are another promising area for 5G, especially as aging populations require higher-quality, yet cost-efficient care. 5G can enable advances in patient-doctor communications with health monitoring via wearables and sensors. Patients might interact with their physicians through a cloud service connected to their wearables, medical devices and hospital systems. Clinical decisions could be made with real-time data analytics and location-based intelligence, such as surgeons directing robots to perform surgery in the field. These use cases will require secure, high-capacity networks that can process large amounts of data in real time with low latency. In the near future, connected vehicles will gain more autonomous features. For example, adaptive cruise control will evolve into autonomous cruise control, lane-keeping alerts will become real lane keeping, and assisted parking and sensors will grow into fully autonomous parking. These connected vehicles will require 'always on' networks that support new forms of communication such as machine-to-infrastructure, machine-to-machine (M2M), and intra-machine in real time. Eventually, open interfaces will allow more applications to access the car's management and information systems, unleashing yet more innovation. Compelling examples such as these should help drive investment in 5G technology and infrastructure. And when the technology begins to deploy and mature, it will open up even more possibilities for innovative applications that will have a profound impact on both consumer and business IT. To receive more articles like this, join the 451 Global Digital Infrastructure AllianceThe 451 Alliance is a member-driven 'think tank' comprised of a worldwide network of highly-qualified enterprise technology and IT professionals. The 451 Alliance tracks changes in corporate IT and digital infrastructure technologies well in advance of other sources and reports findings directly to its members.